Our best wedding venues on the Mornington Peninsula, only an hour from Melbourne… your perfect destination wedding region. So you’ve decided on a destination wedding for your big day – congratulations! The Mornington Peninsula is the perfect region to celebrate your love. With the best variety of venues and spaces to choose from and a host of incredibly talented wedding creative based here to provide magic for you. This beautiful coastline is renowned worldwide for its scenic landscapes and backdrops for all kinds of celebrations. And we are so lucky to have such an amazing lineup of places for your ‘I do’s’ to select. Your wedding theme can be tailored to suit most outdoor or indoor spaces with the finest professionals on hand to assist your dreams becoming reality. From secluded and intimate wineries for those craving fine wine and dining as part of their wedding day to seaside restaurants where waves lap the shore and your celebration can play out under the stars. To rustic barns with incredible bushland settings. And picturesque garden ceremony locations where intimate gatherings take centre stage and nature can be your witness. You are truly spoilt for choice! Really… all the best wedding venues on the Mornington Peninsula! Many Mornington Peninsula venues also offer accommodation, which allows for a relaxed and holiday feel for you and your guests. The region is only an hour’s drive south east of Melbourne and is very popular as the ultimate getaway. Our day spas and hot springs and endless variety of water sports and boating activities all add to the allure of a coastal wedding. Ultimately, making your wedding day unforgettable for the two of you and your guests. So whether you are local, interstate or overseas, take the time to peruse our lineup of the best wedding venues on offer – the Mornington Peninsula really does have it all! This incredible wedding venue enjoys the luxury of being one of the few to enjoy absolute beach frontage, in the highly desirable seaside town of Sorrento. With endless ocean views, excellent wine and food and the finest of service, your beach wedding day will be remembered as one for the ages. Seaside ceremonies are on offer or the option to enjoy on their deck to allow for inclement weather. Receptions both large and intimate are available both with a beautifully relaxed atmosphere which after all, is how your beach wedding day should be! All Smiles Sorrento Ocean Beach is the ultimate beach wedding venue. The venue boasts one of the most exclusive addresses on the entire coast of Australia. Situated just metres from the ocean beach at Sorrento on the Mornington Peninsula, the venue enjoys elevated, uninterrupted 180% views of Bass Strait and this wonderful coastline. With a modern contemporary feel, the venue provides an exciting and unique alternative, with a level of service that is second to none. Set on a 36-acre private property in Red Hill South with sweeping views of the valley and lake, Iluka Retreat is a breathtakingly beautiful venue for your wedding ceremony and reception. Iluka is the perfect wedding venue for a weekend wedding and hosts a charming bush chapel, luxury glamping tents, festival style catering, group accommodation and attentive staff enabling your wedding to be both a seamless and unique event. The team also offer exclusive use of the property for those looking for a more intimate experience, where you can slow the day down to thoroughly enjoy with your loved ones, perhaps stretching into a weekend love fest – how fabulous. Peppers Moonah Links Resort is known as The Home of Australian Golf but it is also home to a prestigious and renowned wedding venue on the Mornington Peninsula. Peppers Moonah Links Resort is a beautifully picturesque spot with accommodation onsite and a relaxed ambience with highly professional and attentive staff ready to cater to all your wedding day needs. Weddings both big and small are beautifully created with loving care including local wines, world class food and excellent local knowledge of all the Mornington Peninsula. A world of happiness awaits you here. If you desire a distinctive experience for your wedding, Lindenderry is an idyllic choice. Set in the heart of the rolling hills and expansive vineyards of the Mornington Peninsula, with 30 acres of formally manicured gardens, Lindenderry offers the perfect setting for a gorgeous winery wedding. Replete with a boutique hotel, you and your guests can choose to linger longer. Portsea Golf Club and Mercure Portsea is a truly beautiful setting for your wedding ceremony and reception. Set amongst rolling greens, local Moonah trees and boasting spectacular views across Port Phillip Bay, this venue has the staff and experience to ensure your wedding day is perfect in every way! Portsea Golf Club’s modern clubhouse offers 24 boutique style accommodation rooms, facilities catering for up to 150 guests, a reception room, outdoor spaces for beautiful ceremonies and a delightful bridal retreat. Modern Greek cuisine in the heart of McCrae! Situated opposite the iconic McCrae Lighthouse and the stunning foreshore, Alatonero is the newest offering from the team that bought you the renowned Stillwater at Crittenden. Beachy, breezy, fresh and fun, Alatonero offers stunning weddings with incredible food and impeccable service. Featuring an outdoor terrace and gardens, 2 separate bars, plenty of room for dancing and mingling. This venue is the perfect seaside setting for your beach wedding. This stunning vineyard-wedding venue overlooking the lake with multi-award winning menus and service is the perfect spot to choose for a serene and stress free day. Their expert team is made up of passionate, industry professionals who are ready to transform your next event into something truly spectacular, whatever the size and budget. Fabulous accommodation is onsite so brides can also get ready at the lake house villas, whilst they admire the view. How utterly lovely! If you’re after a wedding resort that really has it all look no further than RACV Cape Schanck Resort. With views that overlook rugged Bass Strait and Port Phillip Bay, this contemporary new resort is set on one of the most striking coastal golf courses in Australia, offering extensive coastal views. Intimate or large weddings are catered for with facilities that make a weekend wedding most desirable! An18-hole championship golf course, day spa, gymnasium and group fitness room, 25m indoor pool, spa and sauna, games room, three floodlit tennis courts, BBQ facilities and onsite beach access. Ceremonies can take place in their picturesque Tea Tree Garden (pictured above) followed by a reception in one of their stylishly appointed function rooms. The Horizon Ballroom offering spectacular ocean views over Bass Strait and The Great Southern Ballroom having views over the golf course and Arthurs Seat. Eagle Ridge Weddings is a stunning wedding reception and ceremony venue. With a classic elegant design, their ballroom and function spaces are simply beautiful and their gardens, lakes (replete with incredible gazebo!) and surrounds provide the perfect backdrop to your photos and ceremony. Located in the exclusive town of Portsea, the historic Portsea Hotel is a favourite among many couples dreaming of the ultimate beach wedding. With garden ceremony and ocean views, this relaxed wedding venue is one of the most naturally beautiful and picturesque venues in Australia, boasting sweeping views across to Queenscliff and the Heads. Recently renovated with a gorgeous new look, this award winning seaside venue is only an hour and a half’s drive from Melbourne. With state of the art facilities bringing a fresh new look to weddings on the beautiful Mornington Peninsula – this venue is truly amazing. From spectacular views of Port Phillip Bay to mouth-watering culinary options, the new Blairgowrie Yacht Squadron is equipped in every way to enhance your wedding day. On the middle level, the Southern Waters Room offers the idyllic location to host your wedding all year round. The romantic and unforgettable surroundings make it the perfect place to ensure your wedding is a truly memorable occasion. Iris Park is an idyllic 10-acre garden wedding ceremony venue, which combines native bushland, sweeping lawns and exotic landscaped gardens. It features a stunning 300-metre long tree-lined drive and offers a variety of themes for ceremonies and photographs. The ultimate garden wedding venue! Open for ceremonies from 1 October until 30 April. Summerfields Estate and Country House is impressive in design with a relaxed and elegant ambience. Ceremonies can be held outdoors under a beautiful arbour or inside the majestic spaciousness of the main house. Their reception room can be arranged to suit a sit-down or cocktail affair with an exquisite selection of food freshly prepared by their team of Chefs. Six stylish guest rooms are available to give the complete “country house weekend wedding” experience along with semi-formal gardens, massive olive plantation and 3½ acre lake which provide amazing photo opportunities. The love and care shown by the team at Summerfields, combined with their exceptional food and service will assure you a truly magical event, which your guests will rave about for many years. At Summerfields, your fairy-tale really does come true! With a history dating back to 1907, the Sorrento Golf Club offers a stylish and modern Hamptons-style clubhouse overlooking their picturesque golf course. Select perfect dishes from menus devised by their excellent Head Chef, and wines from both local and international suppliers. Come for a drive to Sorrento and see why this location is the perfect venue for your special day. Casa de Playa on the Mornington Peninsula, is a little slice of heaven hidden in the Main Street of Mornington. An upstairs New York style reception room provides a light filled, relaxed ambience to your big day. 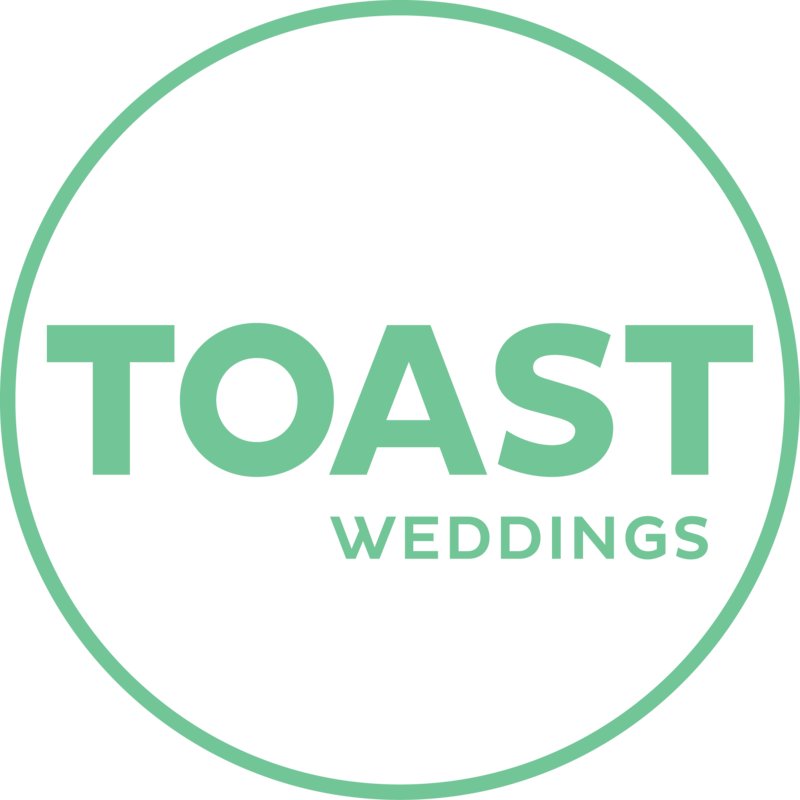 They bring together a beautifully styled venue with an extensive and creative menu with attentive service to deliver a truly unique and unforgettable experience for your special occasion… the perfect wedding venue just up the road from Mornington Beach. This utterly beautiful, hidden gem of a wedding venue is set amongst the grapevines of the winery and hosts accommodation onsite with 5 luxury villas on offer. A family run and owned business; you are spoilt for choice when it comes to wedding setups with views overlooking both Port Phillip Bay and Bass Strait. Come and inspect and enjoy a glass or two with some tasting plates – you’ll simply fall in love! From secluded and intimate wineries for those craving fine wine and dining as part of their wedding day to seaside restaurants where waves lap the shore and your celebration can play out under the stars.